On September 8, 2018, 84 golfers gathered at the Rolling Green Country Club for United Way of Southwest Wyoming (UWSW) 12th Annual Golf Tournament benefiting Dolly Parton’s Imagination Library in Southwest Wyoming (DPILSW). Together sponsors and golfers raised over $16,000 to mail thousands of books to local children enrolled in the DPILSW. This year, the team from Jim Bridger Power Plant took first place which included: Craig Grabusnik, Robert Hale, Dave Moneyhun and Rick Tripp. The second place team was made up of Nancy Parker, Paul Parker, Scott Sager and Cember Sager. Third place went to Reed Clevenger, Steve Core, Dave Williams and Marty Carollo sponsored by Rocky Mountain Bank. UWSW thanks all the team sponsors and players for joining them for a fun filled day of golf. 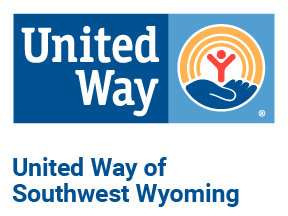 “Year after year the community continues to come out to support our golf tournament,” said Kelly Frink United Way of Southwest Wyoming, Executive Director. “This tournament helps us continue to support Dolly Parton’s Imagination Library in Sweetwater County. We believe this program helps children be kindergarten ready. With donations and events like the golf tournament over 3,600 children have graduated from DPILSW,” said Frink. “We want to give a special thanks to Mandros Painting for being an Eagle sponsor for this year’s golf tournament,” said Frink. The Birdie Sponsors for this year’s golf tournament were Genesis Alkali, Rocky Mountain Bank, Southwest Wyoming Regional Airport, ComTech, John Bunning Transfer Co. and Wyoming Machinery. The Par Sponsors were C.H. Spencer & Company, Bank of the West and Scepter Supply. TacoTime supplied all participants with breakfast burritos and Western Wyoming Beverages supplied water. “Because of all of our sponsors, this event was a success. We want to thank them for their generous donation towards DPILSW,” added Frink. Currently, 2,429 children are receiving books through DPILSW. This program is a partnership between UWSW and Dolly Parton’s Imagination Library. Dolly Parton’s Imagination Library purchases the books while, UWSW is in charge for paying for the shipping of the books. Children, birth to age 5, are mailed one free, age appropriate book every month. UWSW raises funds through special events and writing grants to cover the cost of shipping the books. The cost for one child to receive twelve books for one year is $35. Companies that sponsored teams were: Anadarko Petroleum, Bank of the West, Church & Dwight, D.R. Griffin & Associates, Erwin Consulting, ExxonMobil LaBarge Operations, Farmer’s Insurance, Jim Bridger Power Plant, Mandros Painting, Monsanto, Rocky Mountain Bank, Solvay Chemicals, Tata Chemicals and Genesis Alkali.